Should everyone go to College? Maybe not? Here are the 3 main options (#3 will change your life forever). Jordan Suber, "INFJ", entrepreneur, Author/writer, thought leader & coach! an avid reader, love to workout, adventurous, "conscious" & once in a lifetime me kind of person. As most of you may or may not know about me I am I-O (industrial & organizational) psychology student with a 4.0 GPA and a full-ride, and I’m a writer, alongside being an entrepreneur. Now, I don’t mention my GPA to brag (which doesn’t mean anything other than I am good with time management, and memory. If even that), but to illuminate that even if you are a “good” student, or not a so-called “good” student you can tackle other options at the same time, and at any point in life. Depending on when you read this you are either getting ready to attend further education, on break from school (which I am very thankful for “summer break),” graduated, or have zero intention to attend college. Well, despite which category that you fall under there is good news! There are plenty of options outside of college and ways to expand your skills at any level of life that you are embarking on. 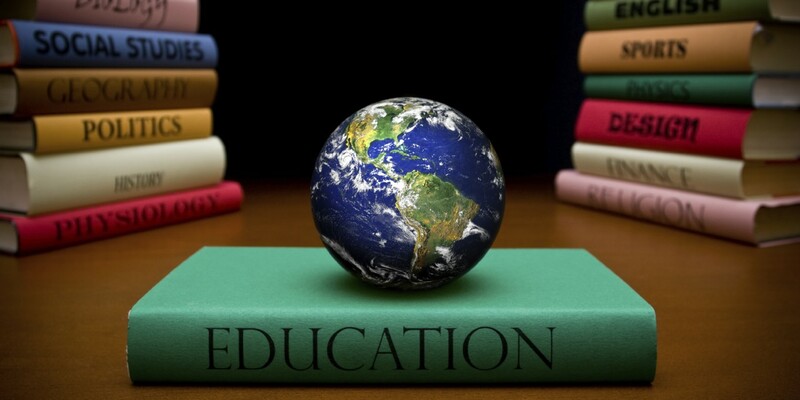 I have recently been conducting a lot of research on education, and ways to have it be more efficient, and have been using many outlets on my adventure to help expand my knowledge that I will share with you now (you will love #3). One article that I read by Owen and Sawhill, “Should you go to college” illuminate how college may not be for everyone, and for many reasons ranging from degree choice, to school, to the individual, and many other factors like what to expect for a return on investment (ROI). Many of you may believe with Owen and Sawhill on that fact that going to college may not be for everyone, and that there are many alternative forms of education that are imperative to consider before going the traditional route. If you have seen my video on youtube about college (you can see here) you know that over 2.9 BILLION dollars go unused in student aids funds, and we have graduated students on average owing over $37,000 dollars in students loans. If this doesn’t further open the discussion that education must be analyzed in another manner, I don’t know what will because at the end of the day schools are a business and in 2018 the possibilities are endless. Here are three alternative ways to get the information that you need to go the extra mile. As of now, college is by far one of the most accepted ways to “ensure” that you can obtain the dream job/career of your life. However, it is becoming more and more clear that times are changing and we may have to adjust alongside with it. Owen and Sawhill says that “someone working in a STEM job with only a high school diploma can expect to make more over a lifetime than those with a bachelor’s degree working in education, community service, and arts, sales, and office work, health support, blue collar jobs, or personal services” (217). These scenarios are helpful in building a valid consideration because the career choice someones decide on significantly alters what someone could expect to get on an ROI, and with examples like these, it substantially strengthens the debates on whether or not everyone should go to college. College is a relevantly new concept being “founded” by Harvard in 1636 and prior to that was The University of Karueein, founded in 859 AD in Fez, Morocco, but education has been taught since Sumerians times 3,500 BC. Now, with that being said, I am still a huge fan of college and honestly love it (despite that fact that I am “paid” to go, and I am a huge nerd), but it is because of why I go more than college itself. Aside from being able to network with many like-minded people, learning from brilliant people, developing the skill that will help my endeavors (like interpersonal ones for example), and adding more credibility as an influencer and entrepreneur. I am able to gain access to more resources that I would not normally be able to so easily if I was not a college student (equipment, space, prompts, and an “in” too many outlets/interaction just to name a few), and to do what I love (helping people) easier and also since it is required to have a degree in psychology to practice. On top of that, it places me “ahead” of many others who are solely depending either on a formal education or on self-education. But, with that being said, if your goal is to an artist, writer, and countless other options it is not always the best idea to make college the end all answer (here is an article about becoming your best selves at any stage of life. Ties well into this topic). What to expect as a professor (and student). When someone learns a new language regardless of how they learn it no one will tell them that they don’t really know it because they did not go to college to learn it. They will more than likely hold a conversation with you without giving much thought of how you learn as opposed to what you learned. The same is true for anything that we teach ourselves. I help businesses and people design marketing strategies and execute them while building a brand, but I never get asked if have a degree or let alone if I am college (many of them tell me I know more than their current teams who focused primarily on marketing while they were in college for years). Is this because I am some kind of genius? God no! (see my about page if you don’t already know about my past). It is because I don’t rely on strictly one kind of education. Balance is key in all things in life, and education is one of those things that never ends. It is clear that there is no one true indefinite route to take when it comes to deciding on what to do in life. However, we can see that one form of education is unavoidable: self-education. But, maybe even more important is: self-motivation, and our goal/why. College, vocational school, internships, or a traditional job may not be for you, and that is okay. The only thing that really matters is that you are able to achieve what you want in life. It is all about cutting the learning curve. Decide on one thing that you want to get learn and give it a deadline for when you will “master” it by (it can be today, this week, this month, or even this year), and use any of the options above to do so, or even all of them. I would normally give a list of potential things to learn, but it is best to learn what interest you the most. So, if you want. Make a list of the top 10 things that you are passionate about. Once you have made your list break that list to the top five interest. After that, choose the top 3 that you could not imagine living without doing again. Now, out of the remaining list pick the top one (or all of them) and try to learn/practice more of that for your “deadline challenge.” (Ultimately it can be anything that you want to learn. A language, new skill, about yourself, and anything you could think of. All knowledge is power). You can even go the extra mile and document your progress along the way to see how far you have gone, and the most crucial part is to apply what we are learning to our lives. Resources outside of one listed above: (best part. Most of them are FREE). In a world where everything and everyone is becoming more and more connected, it is imperative that we consider these many options to stand apart from the ground and live the happy fulfilling life that we are meant to live. You are worthy of everything that you desire. Regardless of what kind of education, or life for that matter you have. We are all in this together but it all starts with you! You are creating history! Feel free to share, comment & subscribe to get my weekly blog/article first! And to get a FREE Ebook sample of my book “Perfectly Perfect” on Kindle and Amazon. (Available in both virtual and hard copies)! Jordan Suber, Also, is my Youtube and Facebook. Owen, Stephanie, and Sawhill, Isabel. “Should Everyone Go to College.” They Say/ I Say, with Readings, edited by Gerald Graff, Cathy Birkenstein, and Russel Durst, 3rd edition, Norton, 2015, pp. 208-225. Jordan Suber is from Lawrence, KS and has moved to Austin a little over a year ago now to further his education and his entrepreneurial pursuits. Currently going to school at ACC for psychology and business while participating in Toastmasters among other leadership groups and spends whatever time he can help his clients through business consulting, life coaching and exercise/diet coaching. When he isn’t buried in school work, side businesses and writing his next book you can find him volunteering for things around ATX like SXSW and many other events. He has a huge passion for helping and being involved in his community as well as trying to make a difference in the world. Knowing how it is to need help and or needing to overcome massive hardships in life. He was born with a high level of lead poisoning and not only did he overcome and beat it after the age of 6, he now uses that experience to help other people who are facing misfortune or just want to be their best versions. He is the author of Perfectly Perfect his first published Ebook on Kindle, it is one of the ways he has been giving back to help cut the learning curve for others who are making a name for themselves. Lastly, aside from collaborating with other like-minded people and dream chasers on blogs/articles,youtube videos, books, business and a plethora of other ventures, he is also the founder of Indigo’s New Kingdom in 2016, helping artist get their artwork more exposure and create a passive incomes for doing what they love. You can follow him on facebook, twitter, IG and his bloghttps://weindigocom.wordpress.com/ as well as connect via email [email protected] to get the full scoop and inquire more about his services.